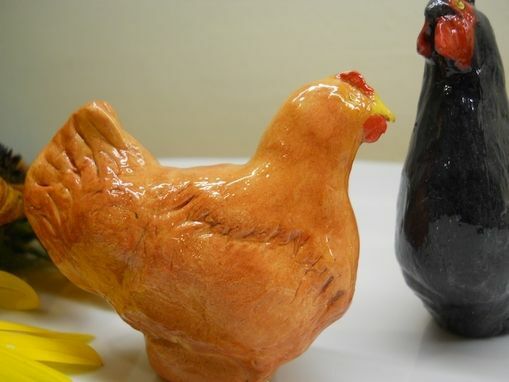 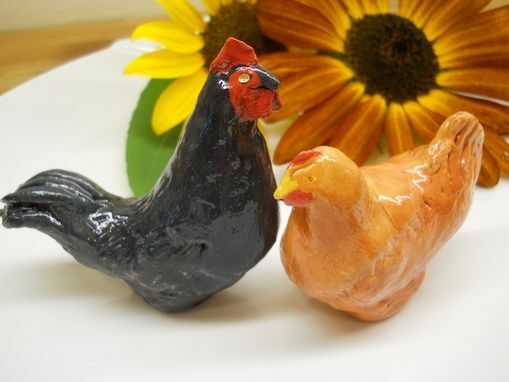 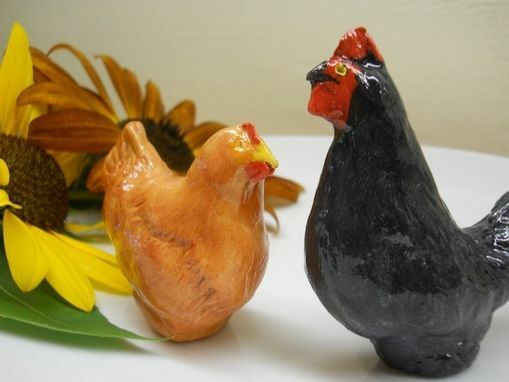 A black rooster and red hen for your wedding cake. 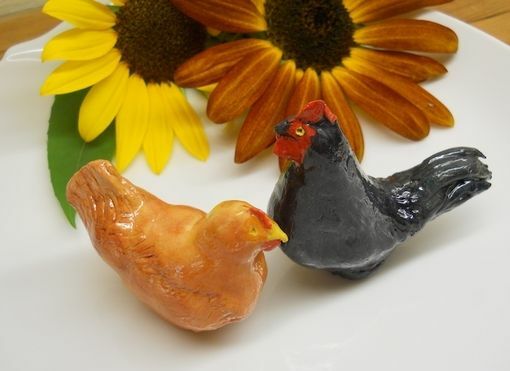 Hand-built from polymer clay. 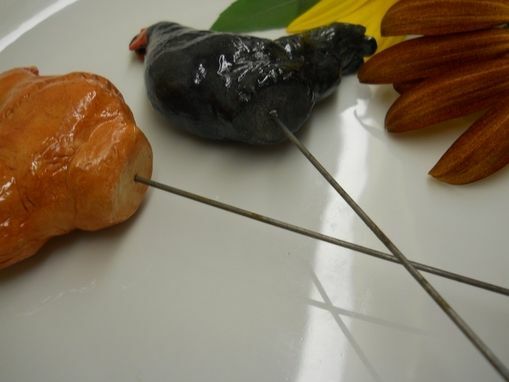 Absolutely unique.